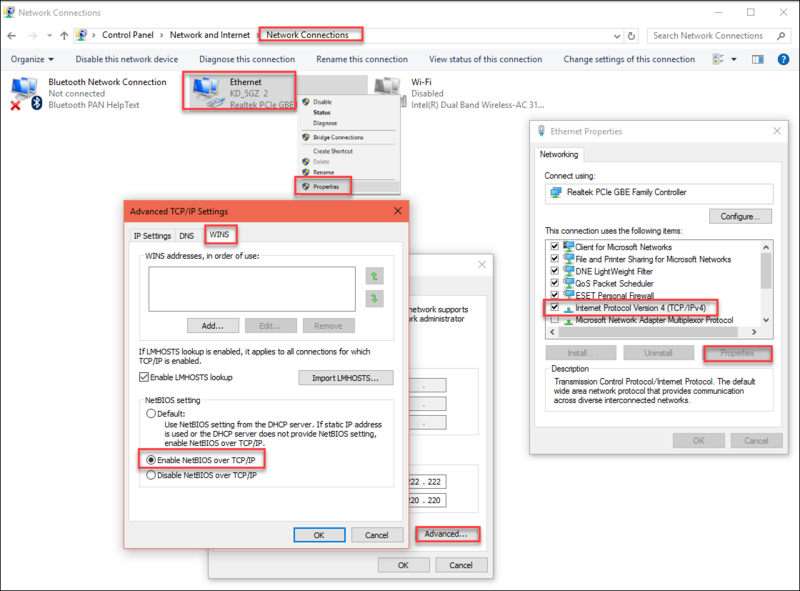 This article lists the progression of steps and setting changes to the W10 client machine while attempting to successfully connect from the local W10 client machine to an Azure File Storage service. Note that all steps may not be necessary for every situation, but one or more steps may be required by some. The first step in determining a solution to the error should be Step #6 – check to see that the ISP is not blocking Port 445 with its global security policy! 1. Create an Outbound Rule for Port 445 in the Firewall Protection software of the client machine. If still not able to connect, then disable the client 3rd party firewall/antivirus software to determine if other changes need to be made to the Personal Firewall settings. Still not able to establish connection, proceed to another step. 2. 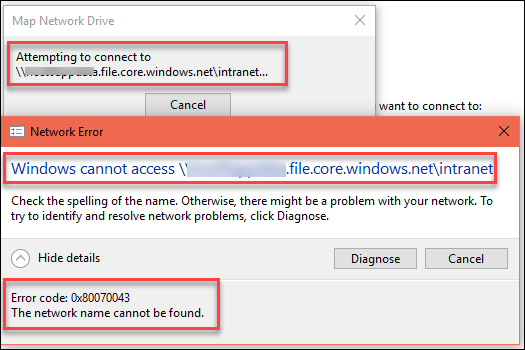 Enable NetBIOS over TCP/IP Still not able to establish connection, proceed to another step. 3. Enable the Always wait for the network at computer startup and logon local policy. Still not able to establish connection, proceed to another step. 4. Check to verify that the W10 client is listening on Port 445. Still not able to establish connection even though client IS listening on Port 445, proceed to another step. 5. PowerShell command to check that the connection to the Azure File Storage service’s Port 445 is open: The connection CAN be made – now what? 6. 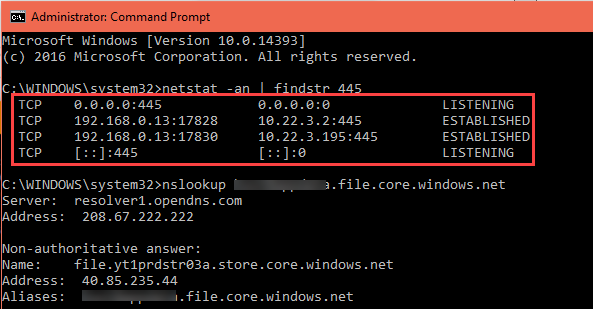 Check to see if Port 445 is open on the W10 client using ShieldsUP test for open service ports. Port 445 is indeed Closed by the ISP. In this case, since local users still needed to be able to access company data, the Azure File Storage container’s file contents were made available to local users via a web-based File Manager – GleamTech’s FileVista, that can access Azure File Storage. Read about this in Using Azure File Storage and FileVista (web-based file manager).